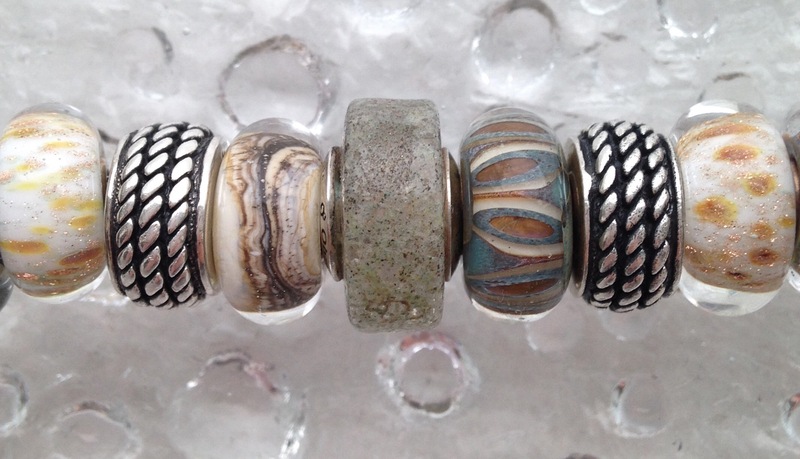 I bought the Ohm Beads Humerus to go with the T-Rex Skull, as seen back in this blog post. It is a bit bigger than most beads, as it was made to go with the Rawr collection. It’s the one in the middle below. 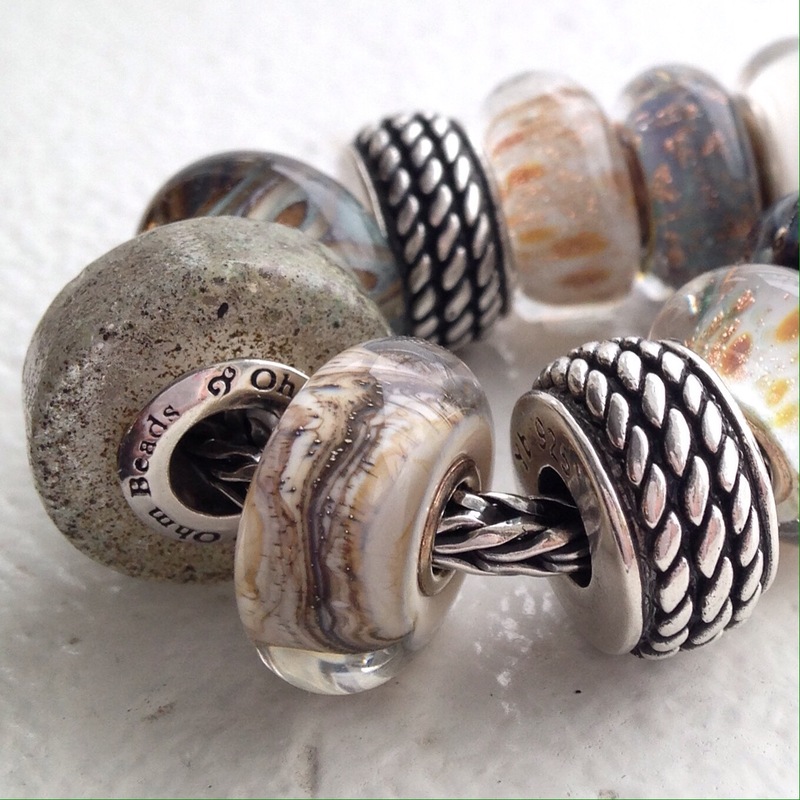 The Ohm website says that the bead was made with some silver powder, which gives it some texture. 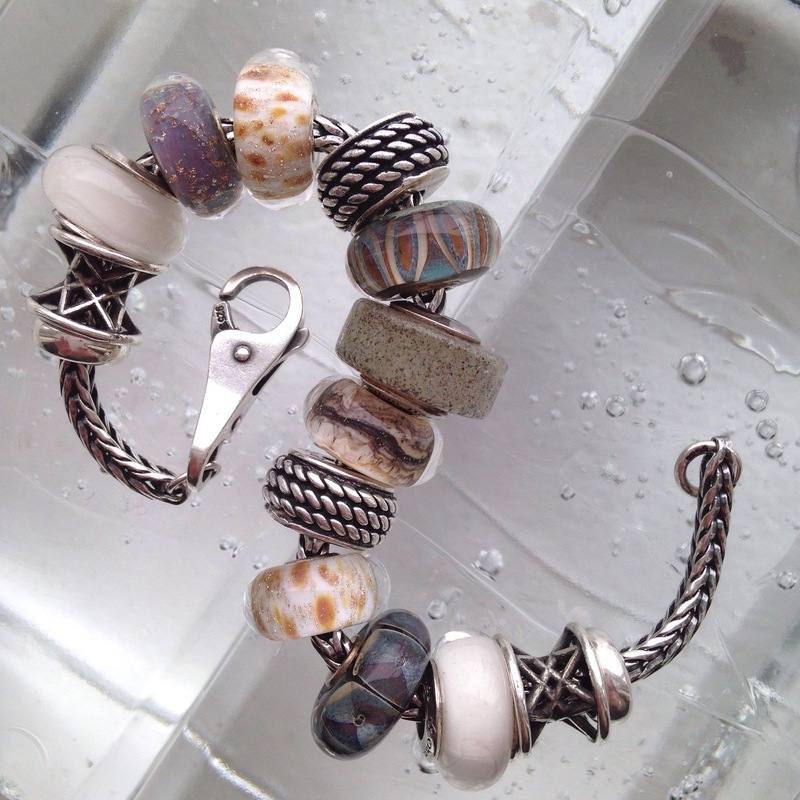 I love the way it fits in with a lot of my Trollbeads, so I made a bracelet to go with my grey sweater. I think it really looks great with the Cozy Trollbead, below right. 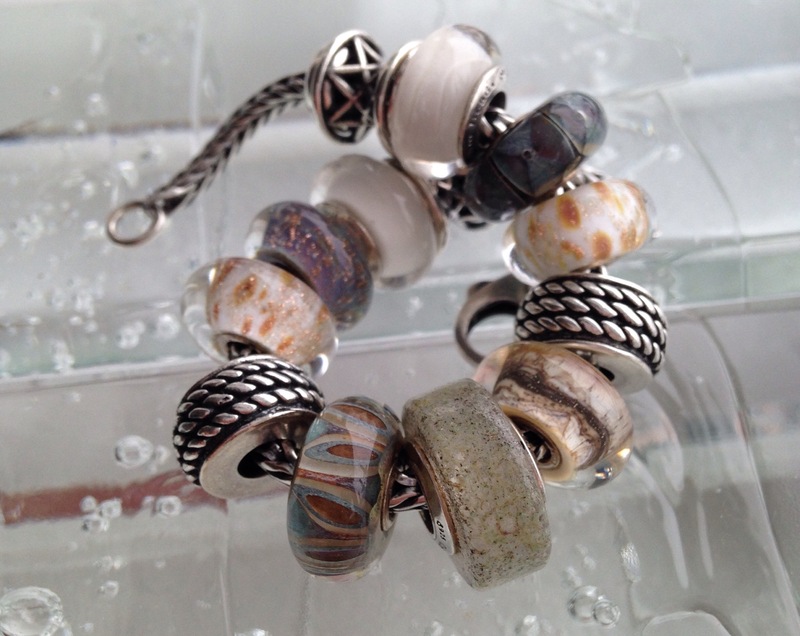 As with a lot of my bracelets, I used the Redbalifrog Rope silver beads. I sure hope I don’t lose them, as they get used so frequently. This is really a mixed brand bracelet. Beads 1/3/4/6/8/10/11/13 are by Trollbeads. Beads 2/7/12 are by Ohm Beads. Beads 5/9 are by Redbalifrog.